I sort of made this deck by accident. 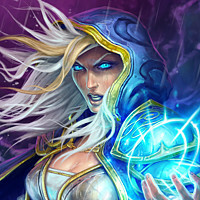 I really only play mage as that is the class where I have every card including wild. I had the "You Shall Not Pass" quest to play 12 Taunt minions and i just threw this together, but it actually works okay. Play taunt and secrets early hold apprentices and burn for late. 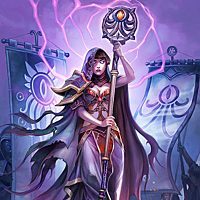 I was wondering what the really good deck builders think, and can I make it better? This uses a split strategy- taunts, minions with helpful abilities, and low-cost removal for early game, card draw and FLJ for late game. I can see that this would be very effective at lower ranks and casual. At a bare minimum I think you should swap the really bad Taunt dudes to something a little bit better. There's absolutely no reason to use Silverback Patriarch in this deck instead of Stonehill Defender. Same stats and the latter has an amazing Battlecry. Footman is really suspect as well - Firefly would likely be tons better. 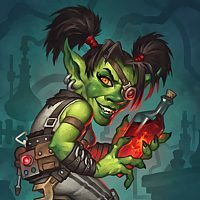 Frostwolf Grunt should probably be a Belligerent Gnome, for example. And Ironfur Grizzly could be a Tar Creeper.